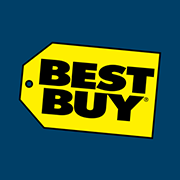 Best Buy is a global electronics retailer in the United States. Founded in 1966, it started as an audio specialty store headquartered in Richfield, Minnesota. Best Buy operates business all over the world on a wide range of products including software, digital camera and so on. Today, Best Buy boasts more than 1,150 stores domestically and abroad.